All around the world, The Secret has helped millions of people to live the life of their dreams. In their personal health, careers, money, relationships – in every aspect of their lives – millions of people have transformed their lives by using the timeless principles unlocked by Rhonda Byrne in the wildly successful film and book, “The Secret”. More recently from The Secret have come The Secret Daily Calendar and The Secret Daily Teachings, incorporating more insights for every day and building magnificently on The Secret’s powerful truths. Now, these compelling messages – personally created by Rhonda Byrne to give you new clarity, understanding and wisdom every day – are available for the first time direct on your iPhone. 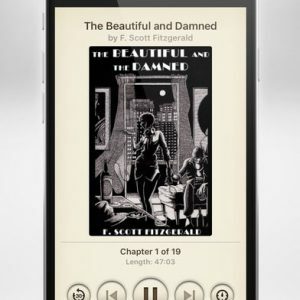 You can now carry The Secret’s wisest, most compelling teachings with you wherever you go, and access them whenever you like! 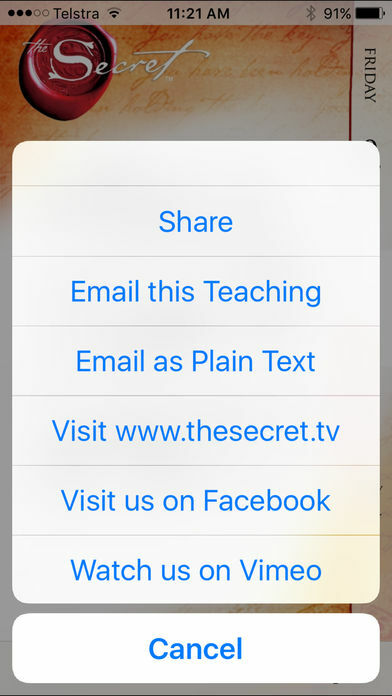 The Secret Daily Teachings for iPhone application takes the printed edition into another stratosphere, enabling you to read the Secret Daily Teachings on the go, and live The Secret 24/7, 365 days a year. And as well as having your own personal mobile access to this treasury of wisdom and inspiration, you can even schedule the time you’d like to be reminded to access your Secret Daily Teaching. 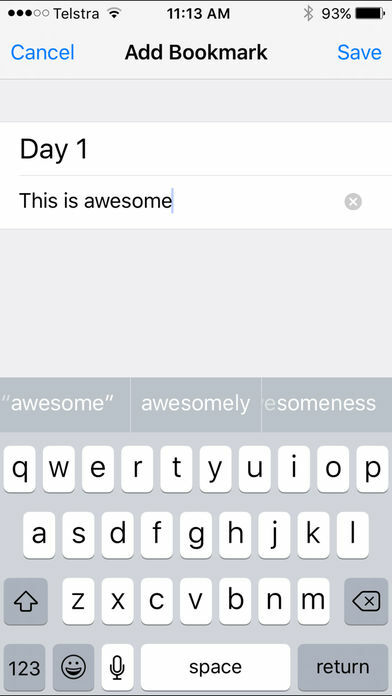 Or, for even more synchronicity, schedule a random alert within your own nominated time frames, and watch as The Secret delivers the perfect message you need in your day, at exactly the time you need it! 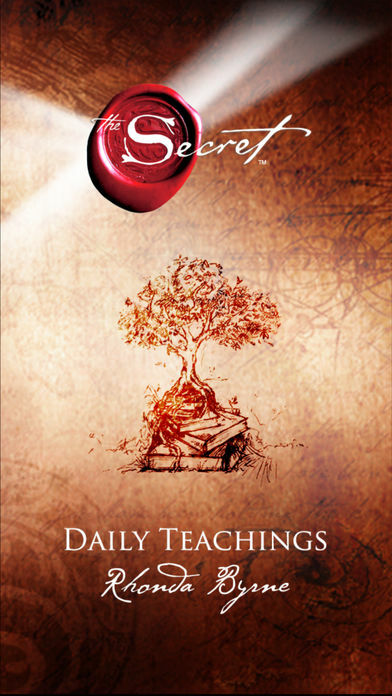 The Secret Daily Teachings App puts The Secret right in the palm of your hand, to inspire and guide you wherever you are. You’ll never miss a day of the life-changing knowledge “The Secret” has unlocked for humankind! 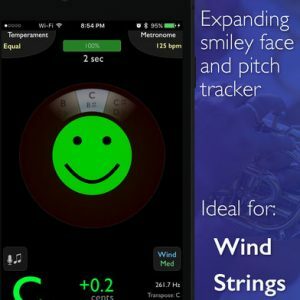 You’ll have 365 days of inspirational teachings right there on your iPhone or iPod Touch. 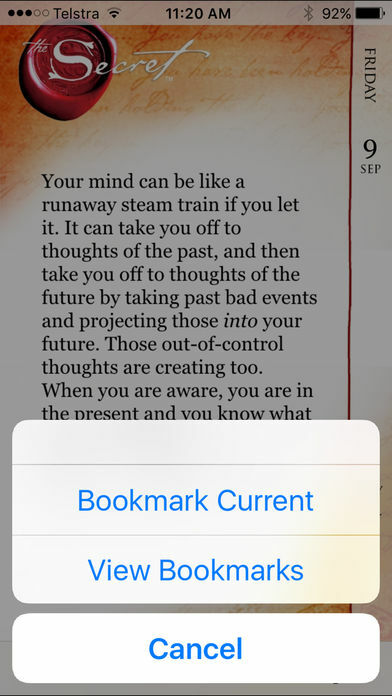 You can even bookmark and share your favorite passages. 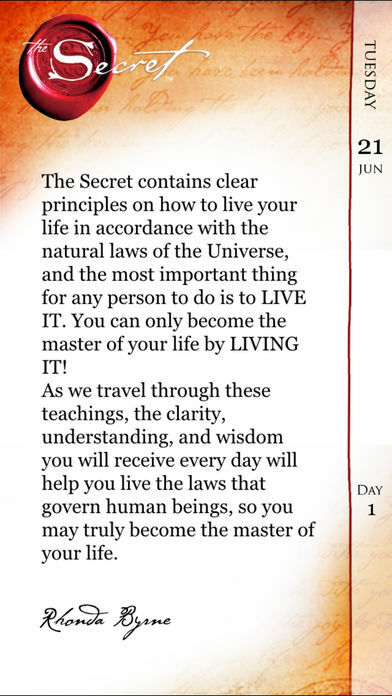 The Secret Daily Teachings for iPhone – your understanding of the The Secret is about to expand exponentially! You will truly become the creator of your life.